Pink Wooden Childrens Name Letters Fair Trade £1.10 each. 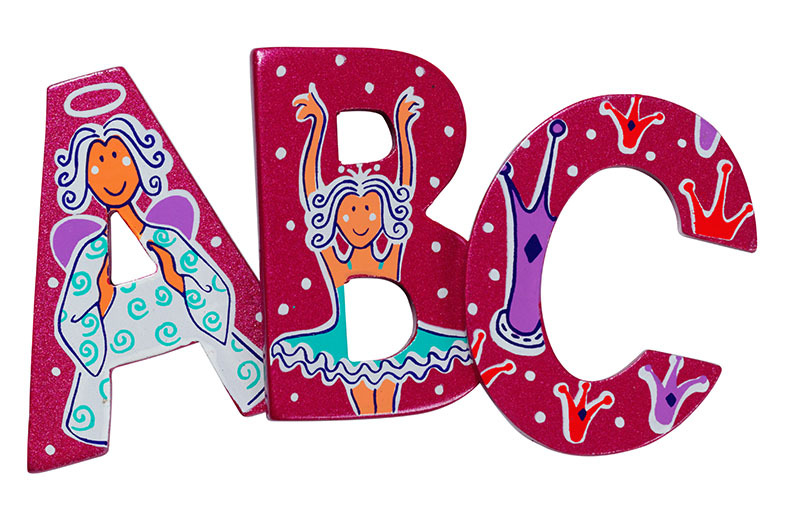 Pink Fairytale letters for the girls with metallic finish. These wooden letters are great to personalise a childs room not just for the bedroom door they can be used on any wooden surface toyboxes wardrobes beds or playhouses. Not just for children why not Mums office Dads shed or garage or a gift for your favourite teacher. Letters can be bought separately or if you prefer we have a selection of beautiful wooden name plaques which we will stick the letters on for you unless you instruct us otherwise. Plaques have sticky pads on the reverse to stick on to the door (letters do not have sticky pads on the reverse). Please state name in the notes section when you checkout along with any special instructions.